The suspect Nathan Epe, 27 from Hanua Bada Village was apprehended last week Monday after he was trapped in the vehicle. 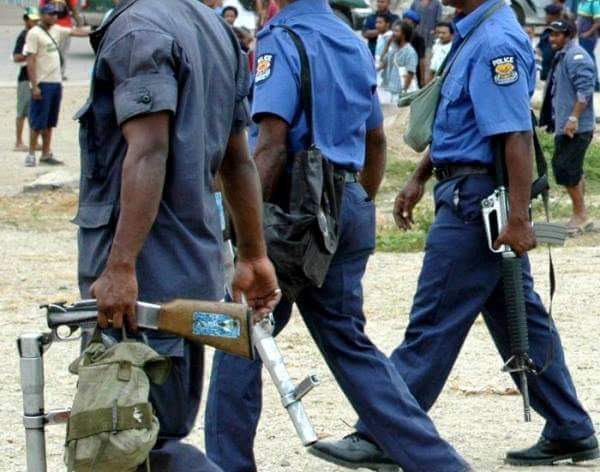 NCD Metropolitan Superintendent Perou N’Dranou said the suspect has been on the run since the murder and a number of crimes. Met Sup N'Dranou said the suspect and a number of men had gone into Star HR Limited and stole K1,200 from a female worker there. A co-worker who attempted to stop the criminals from getting away with the money was shot on the arm with a Pistol. Met. Sup said the pistol has been confiscated by police with the stolen vehicle that was taken at Gerehu some weeks ago and used for the armed hold up at Star HR Limited. 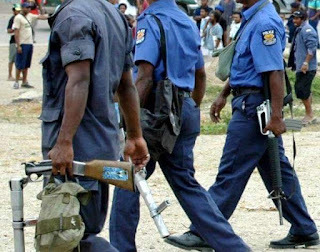 He said upon escape, the criminals had an accident were the vehicle was stuck in a drain at Hohola were Nathan was caught by the public and bashed up whilst his accomplices escaped.